Actually, there are two Top 5s. One with watches in the more affordable range and one with watches that should be considered ‘extreme haute horlogerie’. Since I joined Ernie Romers of Watchuseek during BaselWorld, I’ve put both Top 5 lists in the BaselWorld forum at Watchuseek. Click here to go there. Here are two teasers from both lists. In the ‘extreme haute horlogerie’ list, I only picked two established brands and one of them is Patek Philippe with their Perpetual Calendar Chronograph ref.5270. With a price tag of approx. $155,000.- USD definitely not for everyone, but for those who can : You need this watch. Period. In the other Top 5, I picked Omega as one of the brands with a model worth mentioning in this list. 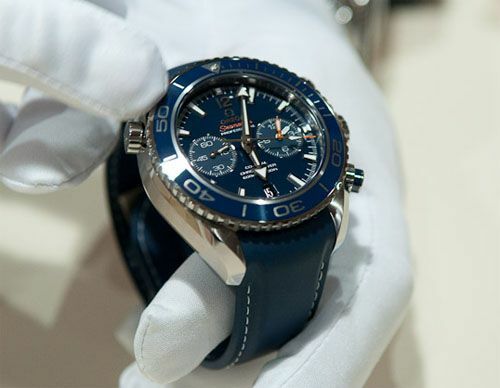 The Planet Ocean Seamaster Co-Axial Chronograph Automatic. A diver’s watch with an in-house movement by Omega, featuring the co-axial escapement and chronograph complication. This new caliber 9300 has been covered in an earlier blog post here. With Omega’s Liquid Metal technology, new range of in-house movements and – if you buy this model with a stainless steel bracelet – screw-in links bracelet, Omega is definitely ready taking the challenge to some of the other famous watch manufacturers in Switzerland. I think a lot of Omega fans have been waiting for these ‘final’ updates on their watches. With a list price of approx. 6.500,- CHF this watch doesn’t come cheap, but definitely worth considering if you are in the market for a serious manufacture diver. 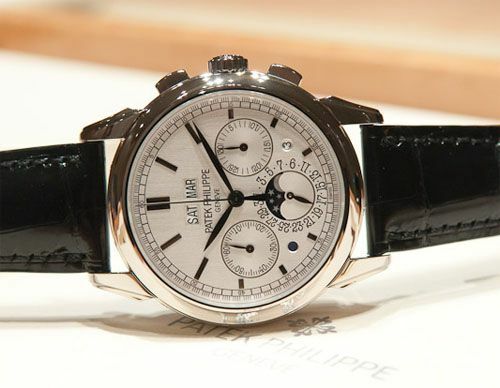 Click here to go to the Top 5 BaselWorld 2011 Watch lists.